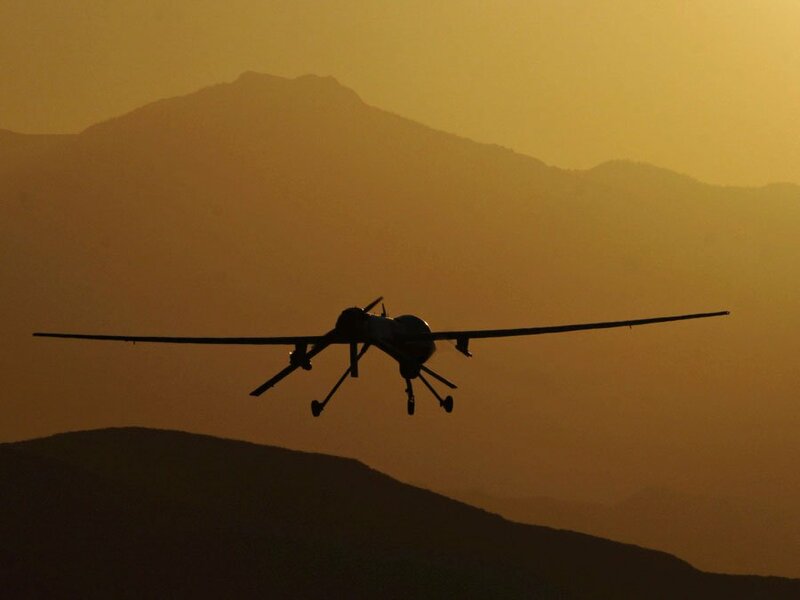 Richard Slade joins JiC for this post on the precarious logic behind the use of drone strikes. Richard is an International Criminal law and Human Rights Writer and Researcher from New Zealand living in Melbourne, Australia. Richard, who blogs at Flightless Justice, previously worked in the New Zealand Parliament and hopes to begin work on how and when different Nations will implement The Kampala Aggression Amendments into domestic law. It’s so much better this way. I can go to work and do my Job with the drones, and then I can go home to my wife and kids and have dinner. I was suddenly thrust back to University. It was eerily reminiscent of my study of Stanley Milgram and his world famous electric shock generator experiment. As we know, Milgram discovered that the majority of people were willing to administer shocks at levels beyond what he ever imagined. My class was comparing the characteristics of his experiment and the characteristics of modern bureaucracy: sanitized language, complex technology, situational authority, hierarchy, false reality, separation from the consequences of the action. We asked if the experiment gave us an insight into the some of the apparently dehumanised decisions made within modern bureaucracies. It is this aspect of the drone debate that grabs me right now. The characteristics of the way military drones are operated seems perfectly dehumanised in the manner of Milgram’s experiment. I believe the incredibly detached attitude of the soldier also highly revealing. He is ready to unleash death from above but also wondering if he was having meatballs for dinner. I was certain Milgram was back from the dead, on the other side of a two-way mirror with that soldier; ticking boxes and wondering if this version was even better than the original experiment. At the same time, the international law community is looking at the legal side of the drone attacks. (see Kevin Heller’s recent article). This is a hot topic in part because the rug the US was sweeping these attacks under is no longer big enough to hide them but also because innocent civilians are dying and the average citizen is again wondering what is being done secretly in their name. As Heller says “Because the U.S. refuses to publicly identify the signatures on which drone attacks rely, it is extremely difficult to assess the legality of its signature-strike program. What we do know, however, creates significant cause for concern”. 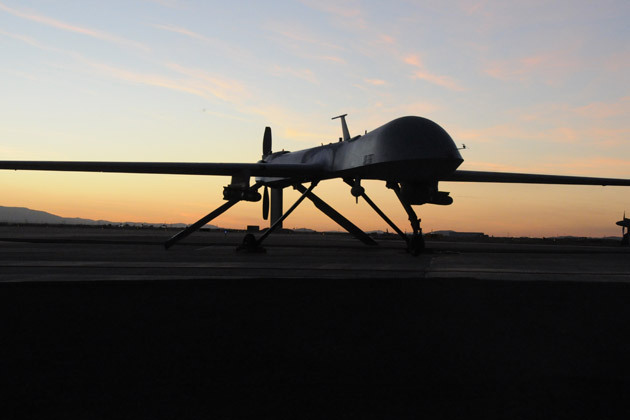 Heller’s article delves deeply into the arguments about the legality of military drones. The attention to detail in his paper leads me to repeat the questions constantly posed by the human rights movement: When did this start happening? Where is the precautionary principle? Who decided governments’ are allowed to simply begin using these weapons? I applaud Kevin for managing to present a logical overview of when and how military drone strikes could be legal or legitimate in international humanitarian, human rights, and criminal law. He is also willing to ask whether in certain scenarios a drone controller could be prosecuted for war crimes or crimes against humanity, and what it would take to secure a prosecution at the International Criminal Court. At this stage the answer seems to be: we need more evidence. This post might be too journalistic for some readers; not enough assessment of the nitty-gritty legal arguments and rules of war (in latin, of course). What about the legitimate targets? The enemy, or is it enemies? This does not bother me, because the most of the time the decision making process seems to be strike first, legitimise later. In this case: send in the drones. If the naysayers find out about it, let them prove that we’re committing a crime. We’ve got our legal rebuttal prepped and boy it’s a humdinger. The legality of the use of military drones is very important, but we should also stop and listen to our gut reaction to them. For me it is a scary technology that has snuck up on us, and is in danger of being normalised before its consequences are understood. The way the military uses drones risks the operators becoming the ordinary monsters Milgram envisaged, if not possible war criminals. Meanwhile international law works backwards to assess the legality of drones and if they should have been used in the first place. The burden of proof is again on us, the people who want to protect life. Over and over, I find myself repeating that quote: you never need an argument against the use of violence, you need a very good argument for it. …and I would have gotten away with it, too, if it hadn’t been for you meddling kids! This entry was posted in Drones, International Law and tagged Scooby-Doo, Stanley Milgram. Bookmark the permalink. 6. Drone operators are war criminals, which reveals the authors not-so-hidden agenda. **Ignore evidence that drone operators suffer combat related stress consistent with deployed forces; ignore evidence that Milgarm interpreted incorrectly; ignore evidence that drone operators understand Command Authority; conflate drone, drone operator; etc. etc. *Am I missing something here? How do you interpret Milgram’s experiment? I was posing the question, are drone operators carrying out their task in a similar way to Milgram’s participants? Do you see any similarities? Do you not agree that Drone operators carry out their duties in a dehumanised manner? And yes, what are the implications for operators in terms of their emotional health? Is there a possibility that drone operators could be tried as war criminals? Are they culpable? I certainly agree that that is a question up or debate. It has been hypothetically considered but not yet tested.